I love making lamps! 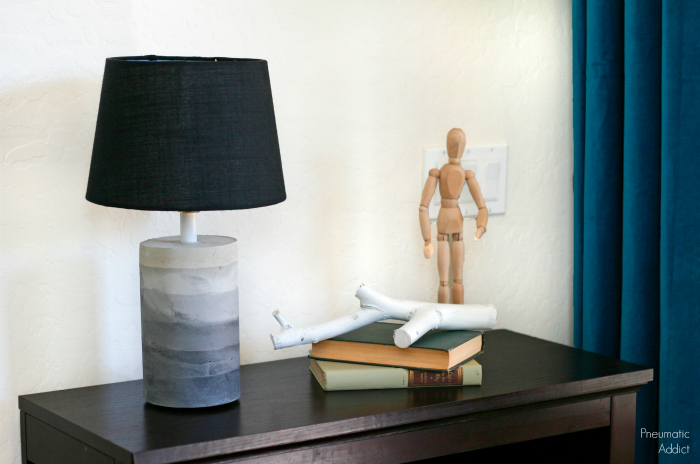 Honestly, I could have a whole blog on making lamps, but I'd run out of places to put them pretty soon. 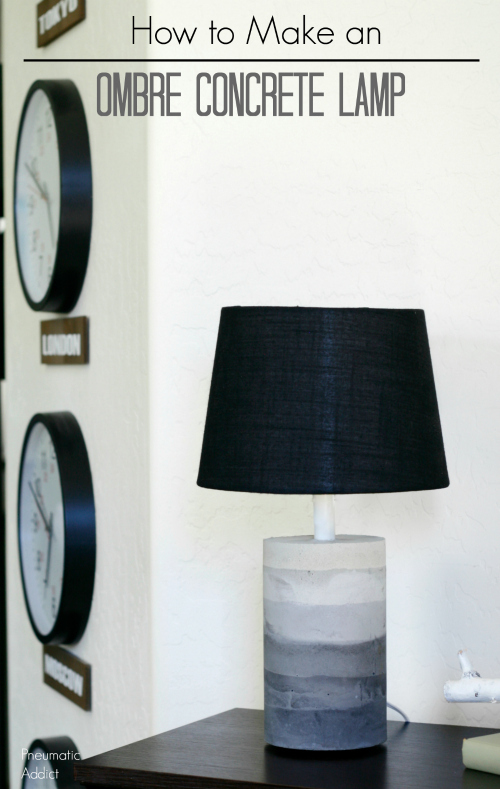 Last summer I shared my Tapered X lamps, which still sit happily on my custom nightstands, and today I'm showing you how to make an ombre, dyed concrete lamp. I'm no stranger to concrete. I poured my own bathroom vanity top, made a little kitchen platform and used concrete again when I built my Rolling Outdoor Island. 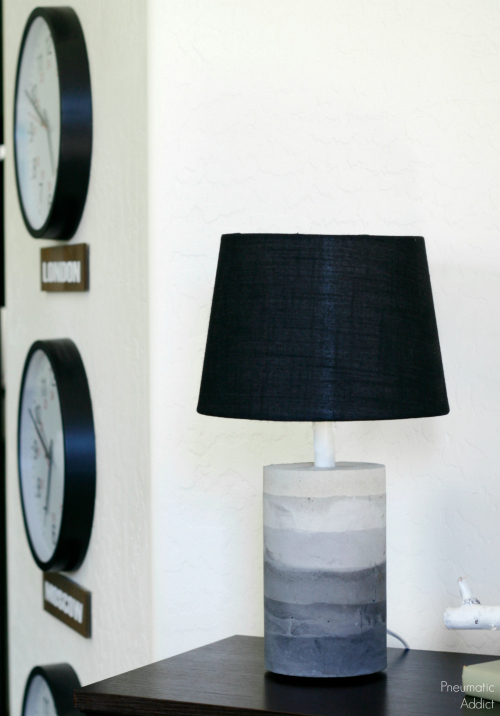 If you are a newbie to the world of concrete and are looking for a first project to get your feet wet, this is the perfect lamp for you! 1. You are probably asking yourself "Where in the heavens would I find a 42 oz coated paper container?" If you like oatmeal cookies, you may have one in your pantry. I bought my canister of Old Fashioned Oats from Walmart for $3 or $4. 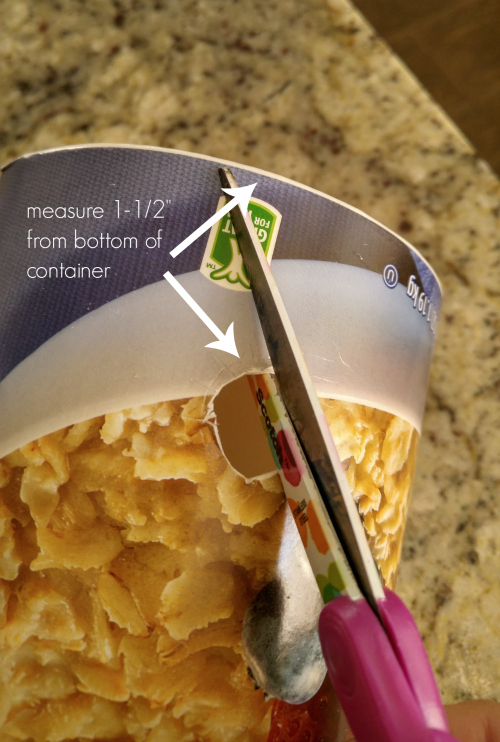 I measured 1-1/2" from the bottom the canister and cut 1/2" hole. Next, I made sunburst relief cuts around the perimeter, so when I push the pipe through, it will be held in place. Although the pipe is labeled 1/2", the size refers to the inner diameter. The actual pipe is 3/4" across. The hole should be a tight fit. 2. 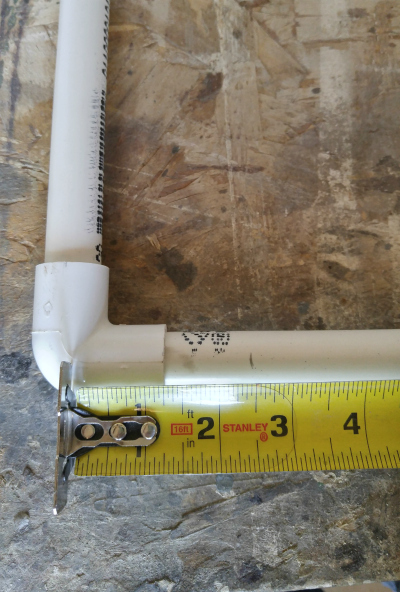 I pushed the pipe snugly into the elbow, and measured 9 1/2" from the bottom of the elbow. Then, i removed the pipe and cut the pipe to length with my miter saw. Any kind of saw would work, even a *cheap hacksaw. I pushed the trimmed pipe into the elbow, and inserted the remaining pipe into the other end. 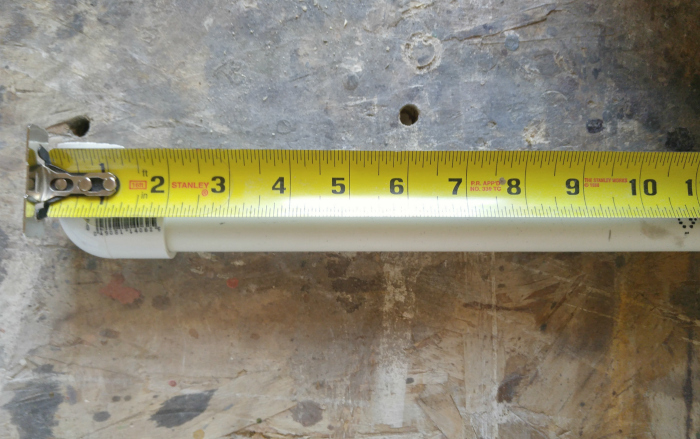 This time, I started from the center of the vertical pipe and measured 2-1/2". I trimmed the pipe to length and joined the pieces snugly together. 3. For small projects like this, traditional concrete is too coarse and sloppy. 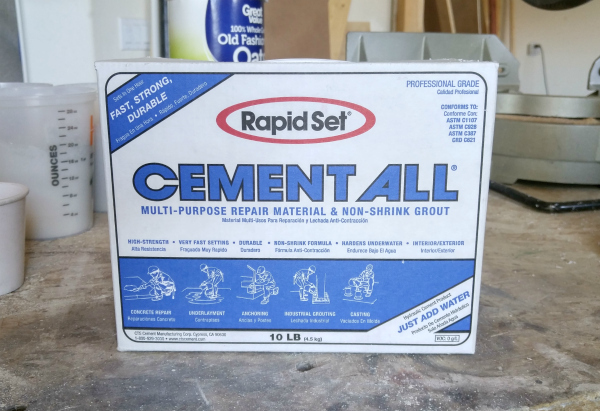 I picked up a 10 lb box of Rapid Set Cement All. The aggregate is much finer, giving you a smoother finish and they're not kidding when they say "rapid set". 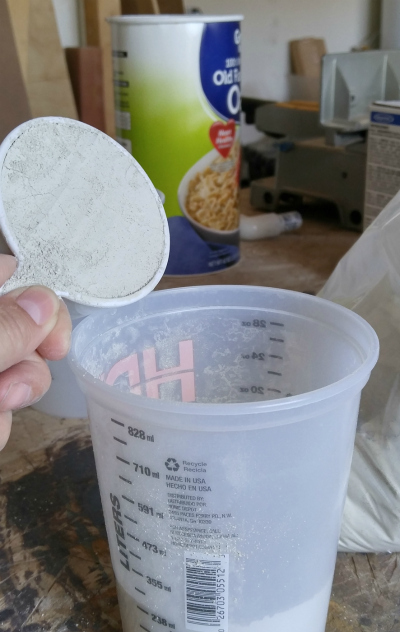 I picked up 6 disposable, quart sized containers and measured 2-1/2" cups of dry concrete into each. I used the full box of concrete. The last container was maybe a couple tablespoons shy, but that's okay. 4. Time to start mixing. Its important to have all your supplies laid out before you start mixing! Like I said before, this stuff sets up very quickly. I poured 1/2 cup + 2 TBS water into 6 separate disposable cups. In the first cup I added 2 TBS cement color, 1 TBS in the next, 2 tsp in the next, 1 tsp in the next, 1/2 tsp and no tint in the last. Watch the video below for the whole mixing and pouring process. 5. As the concrete cures, it can get EXTREMELY HOT! Be careful! 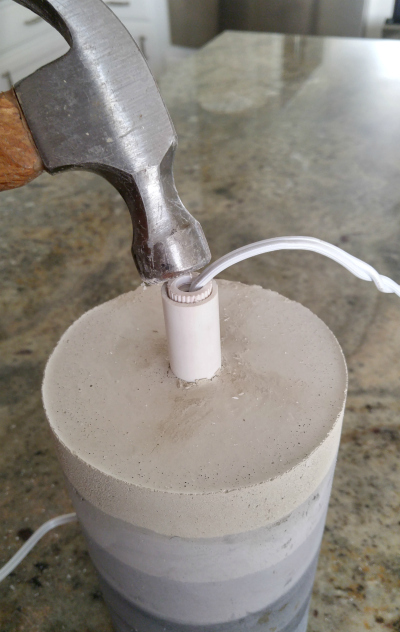 Once the concrete was fully cured and cooled, I started the whole lamp part. 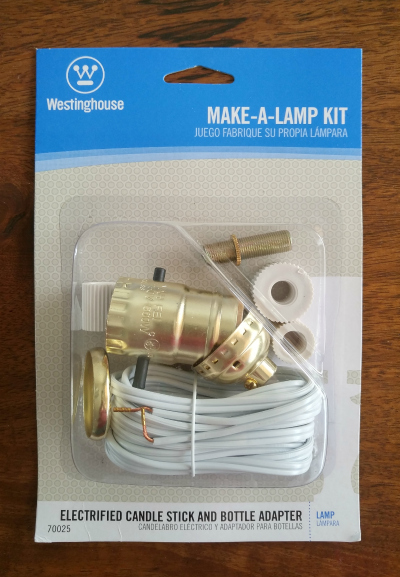 I used a bottle lamp kit that I found at Home Depot. I used the smallest adapter and followed the installation instructions found on the back of the package. The adapter took a little "persuasion" but the rest of the process was simple and straight forward. 6. 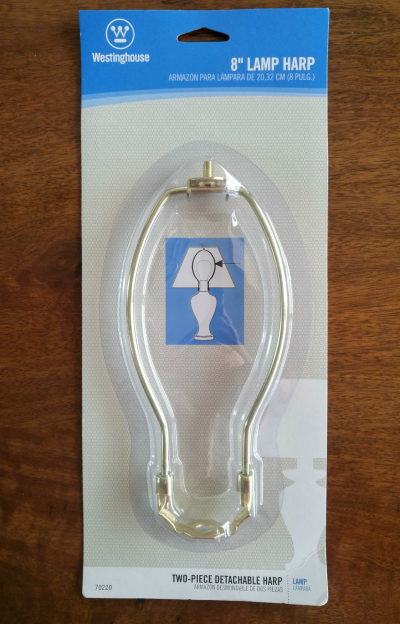 At this point the basic lamp was completed. In order to use a traditional drum shade, I needed a lamp harp. I purchased an 8" harp, but it leaves the shade sitting a little too high. I recommend buying a 7" harp. I hooked up the harp, and screwed the shade in place and it was time to plug her in. Other than curing time, the whole project took less than 2 hours to complete and only cost around $25, not including the shade. Not too bad for a goo sized lamp. I added self adhesive felt pads to the bottom to prevent my furniture from getting scratched. The overall size of the base is 8-3/8" x 5", not including the neck or shade. It would be a bit small for a bedside lamp, but it's the perfect size for my entry table. What do you think? 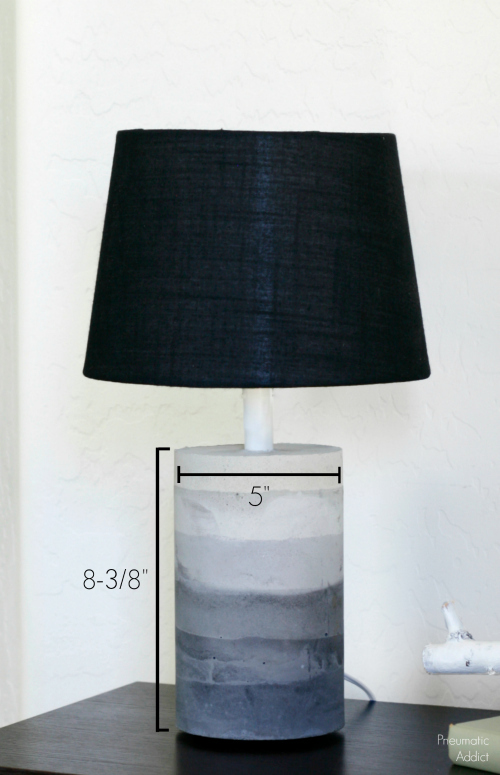 Ready to make your own DIY ombre concrete lamp? Pin the image below and save the idea for later. I LOVE this project!! I am with you, DIY lamps are the best! For several reasons...lamps are EXPENSIVE, I personally don't like a lot of the newer 'off the shelf' lamps, especially not enough to pay the high prices! And this you could make to any size or shape needed to fit your space! GENIUS! Thanks so much for sharing this wonderful tutorial! Your projects ALWAYS ROCK!! 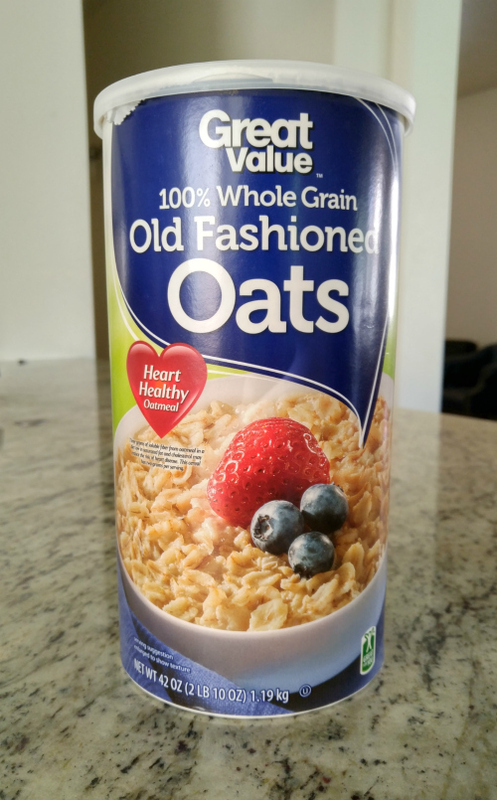 oat meal is the best breakfast!